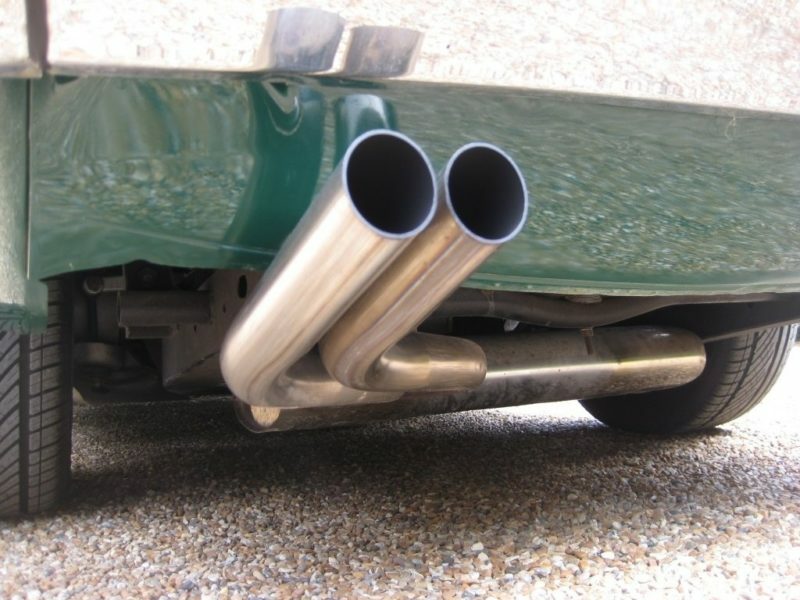 1 LOCAL OWNER SINCE 1994. 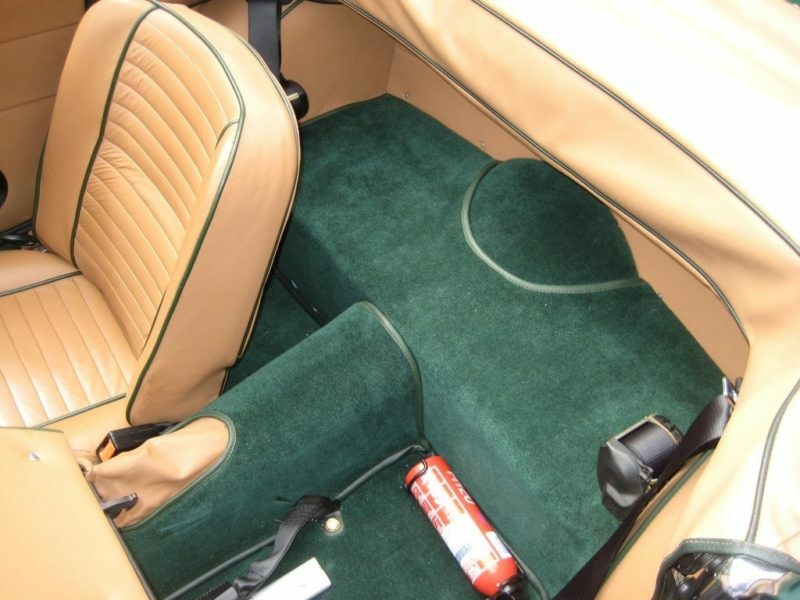 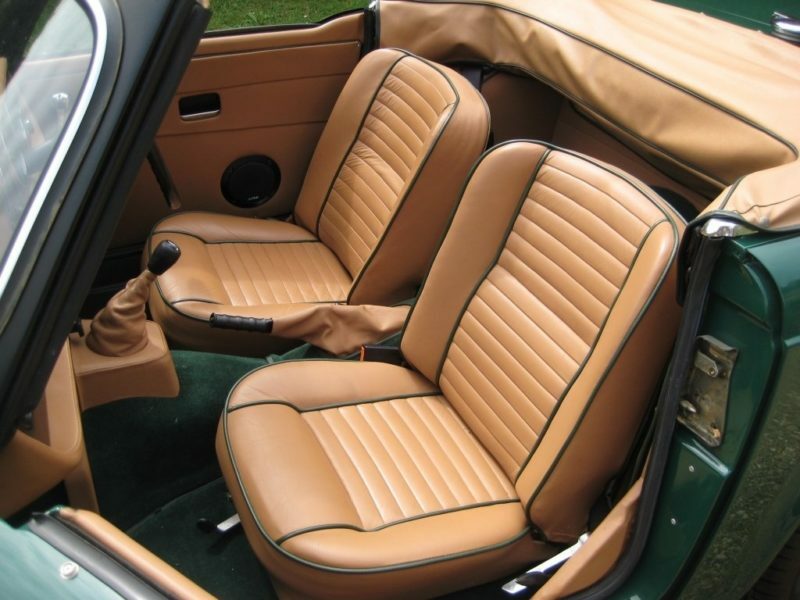 Finished in British Racing Green with new tan connolly leather seats complemented with green piping (complete with tan leather unused piped headrests), tan connolly leather dash and door cards with matching tan tonneau cover + new green wilton carpets throughout. 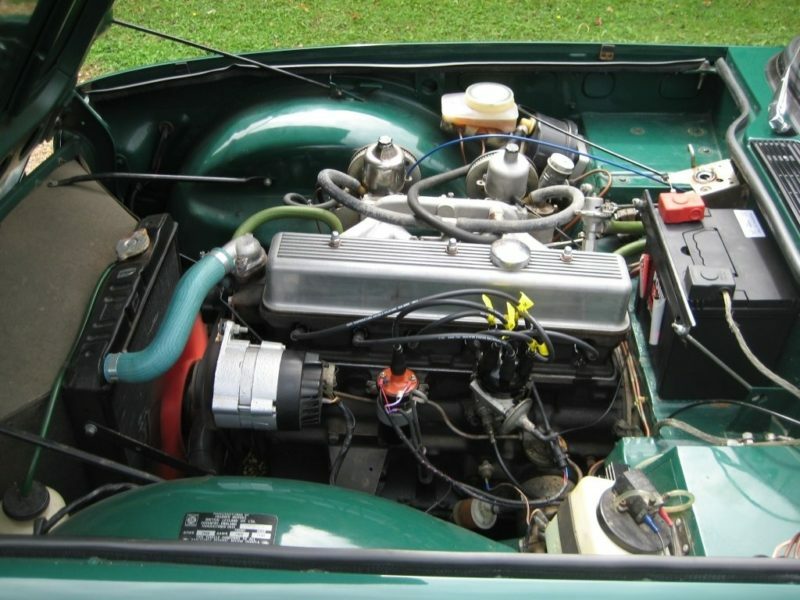 Originally a California import with twin SU carburettors giving outstanding MPG and better reliability than the Lucas Fuel Injection System. 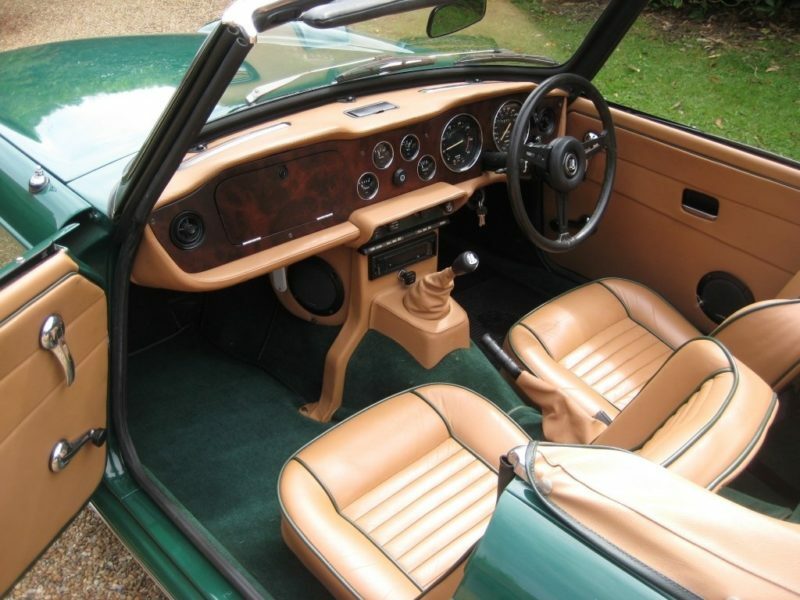 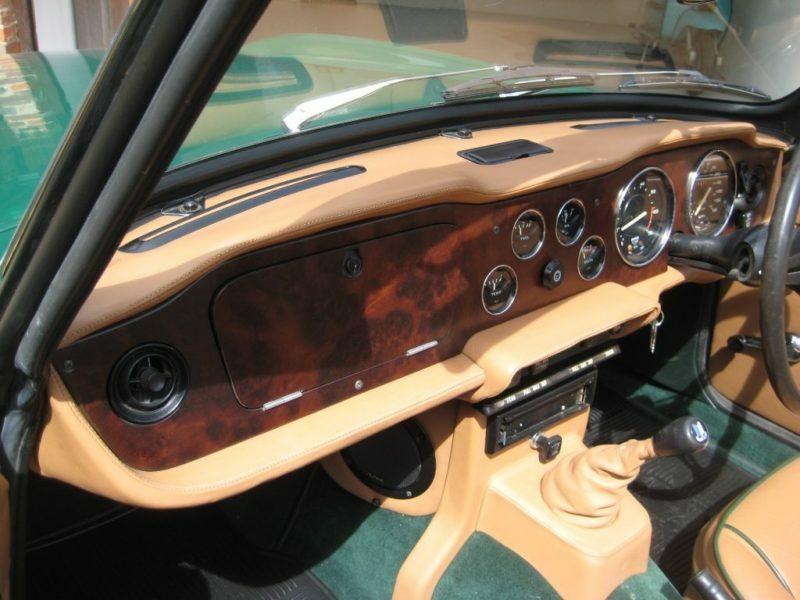 Repatriated in December 1991 and then having been subject to a 3-year complete body off ‘nut and bolt’ restoration, including powder coated chassis and components, along with converting to RHD. 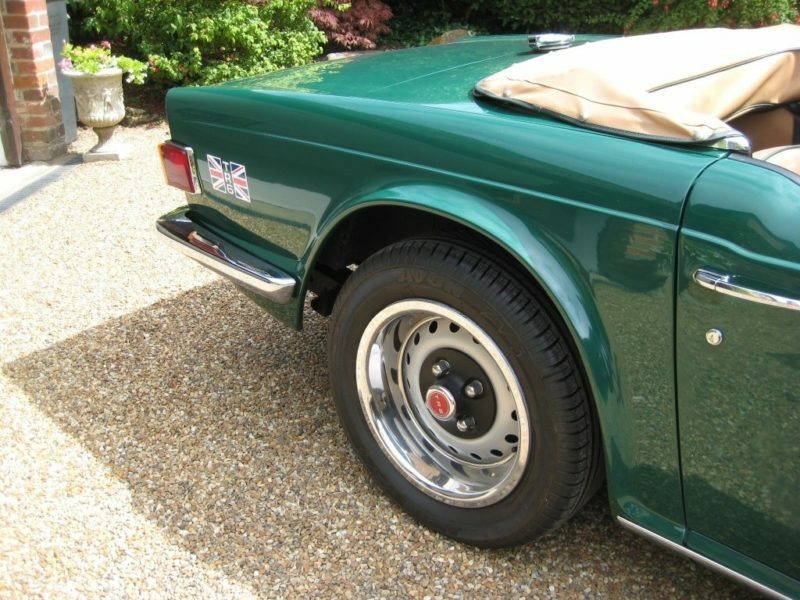 Other work includes the fitting of a complete new interior, a new stainless steel exhaust system, 4 new Avon tyres etc. 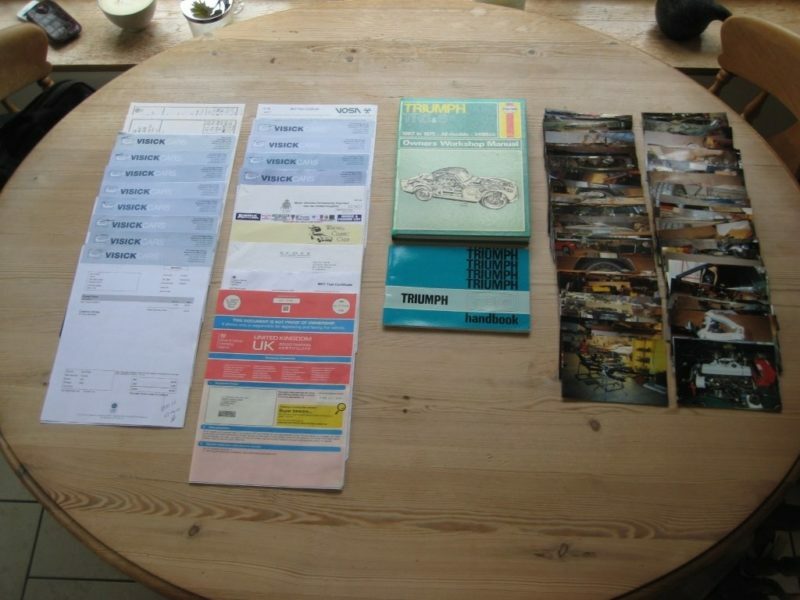 A full photographic history detailing the extent of this restoration is present along with a documented history file. 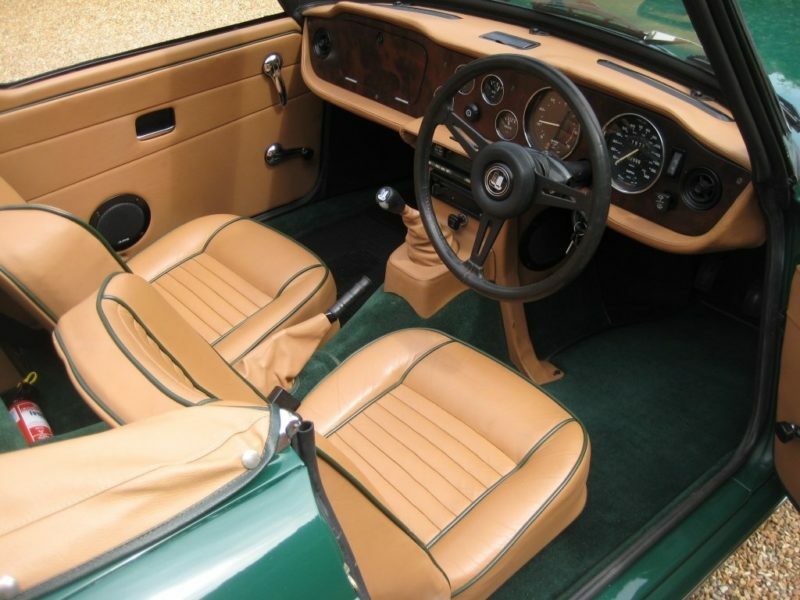 Since restoration less than 3,000 miles has been covered having been religiously stored undercover inside. 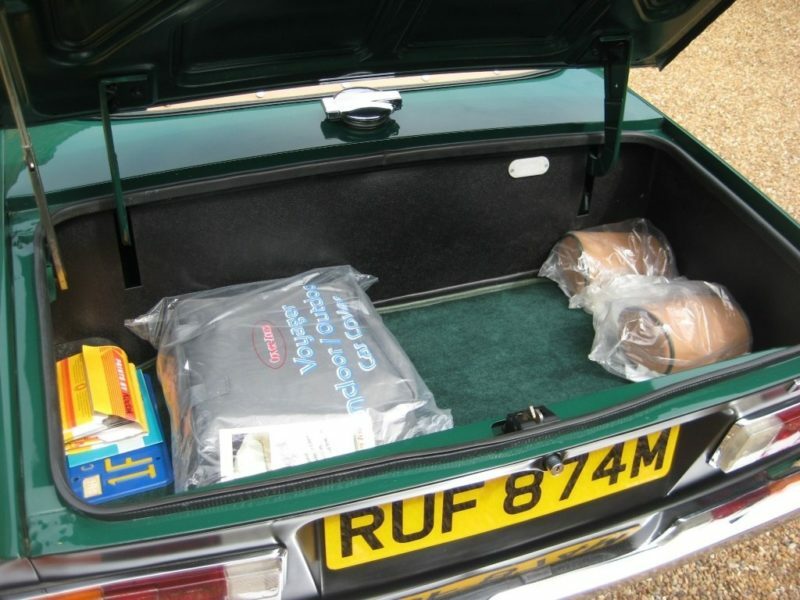 Only ever used in dry conditions to travel for MOT’s and service requirements. 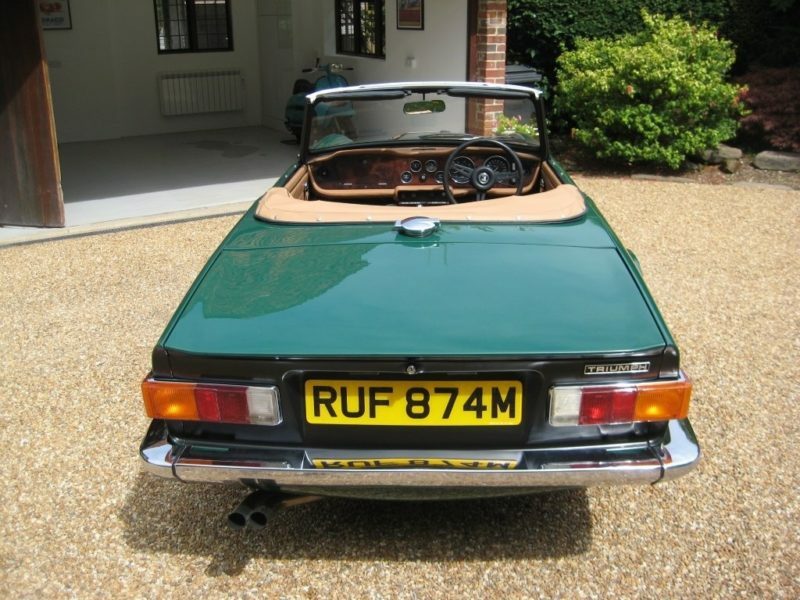 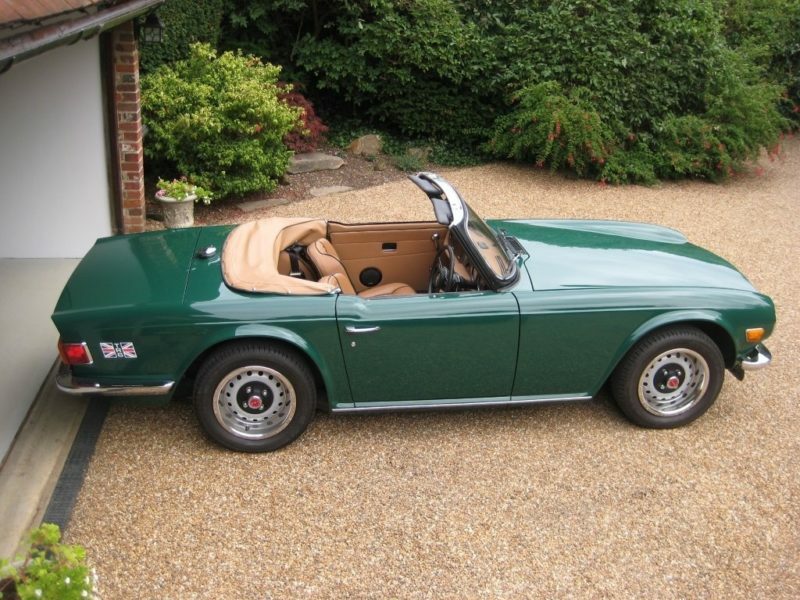 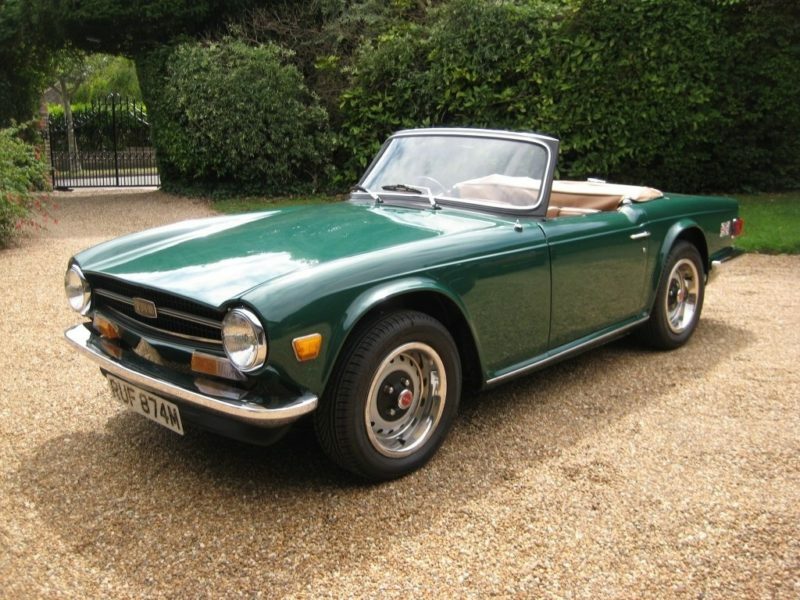 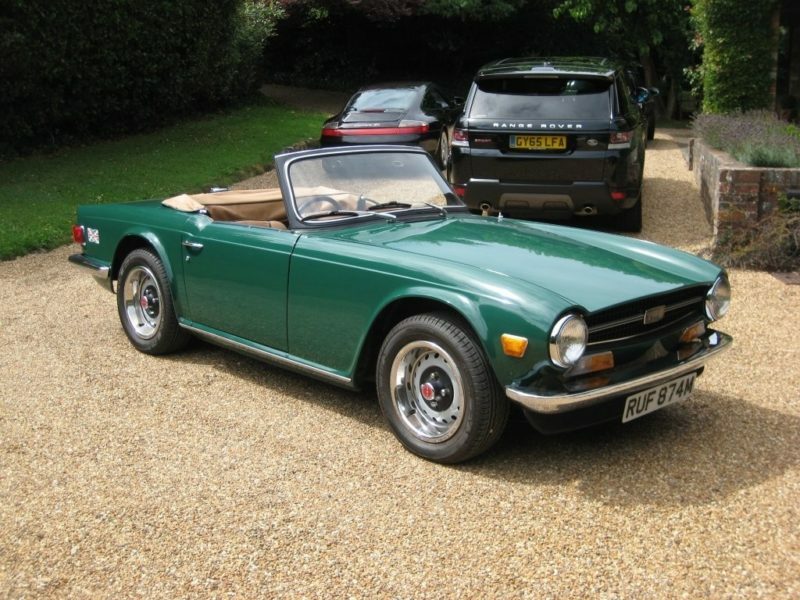 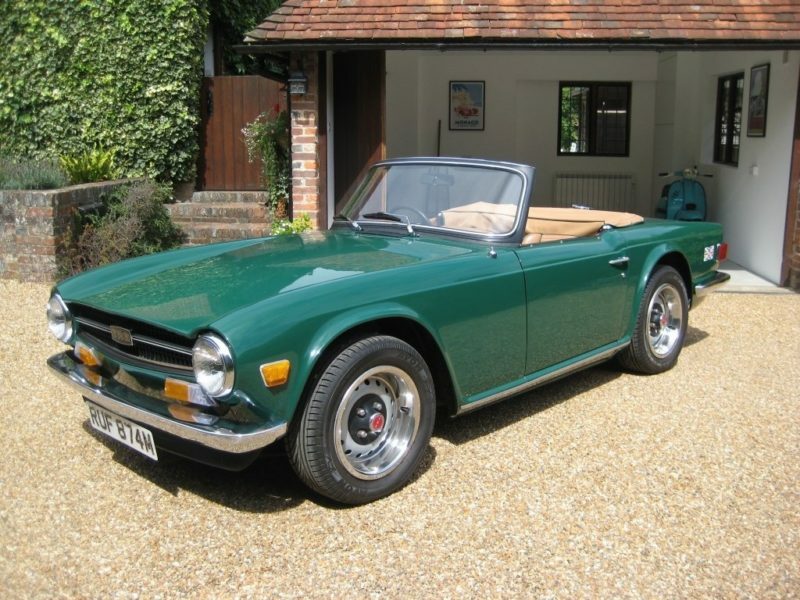 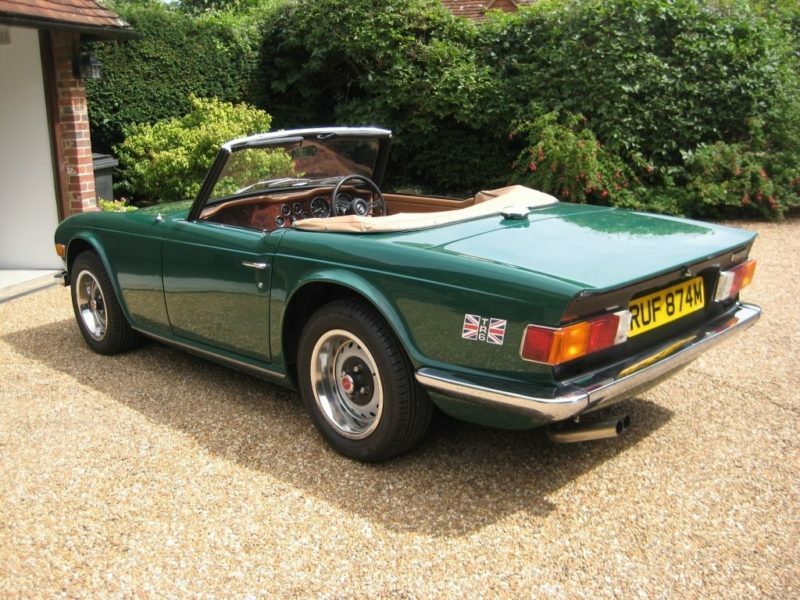 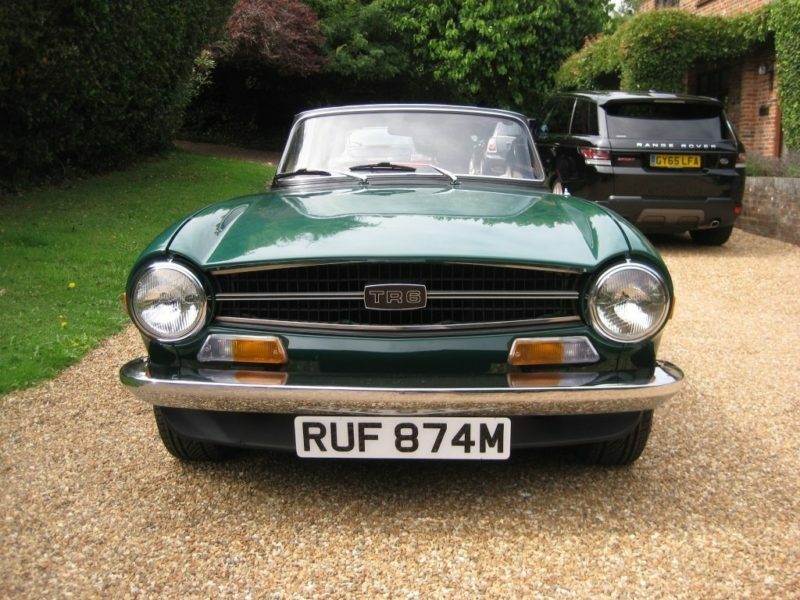 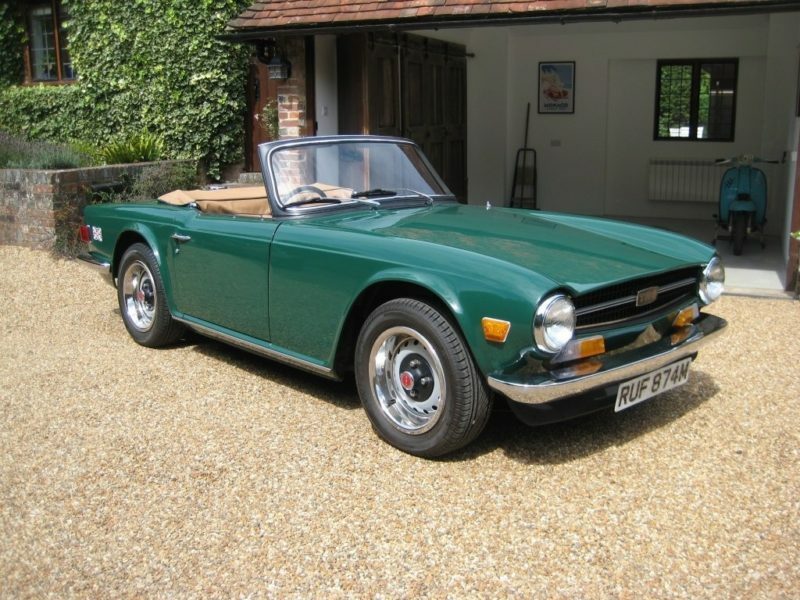 This is an absolutely stunning looking TR6 now ready to be enjoyed by the new owner. 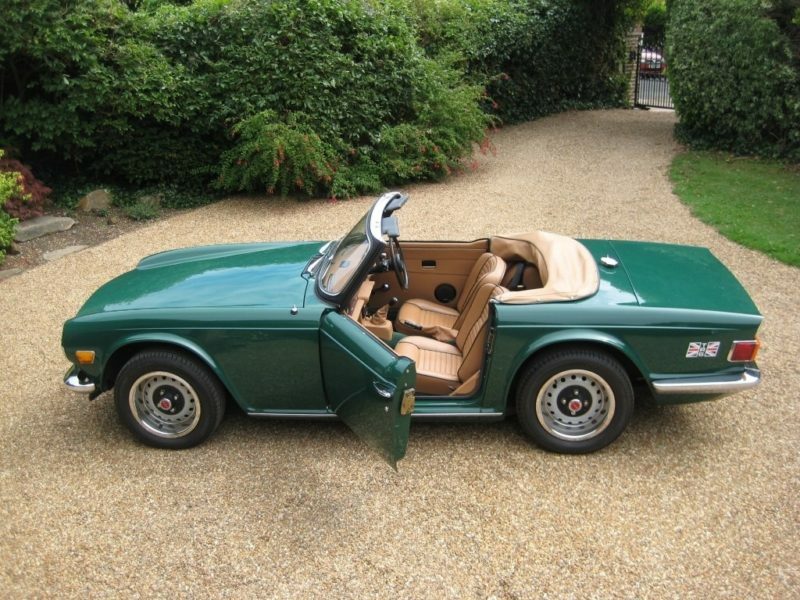 Still as virtually perfect since the restoration this could be a possible show car. 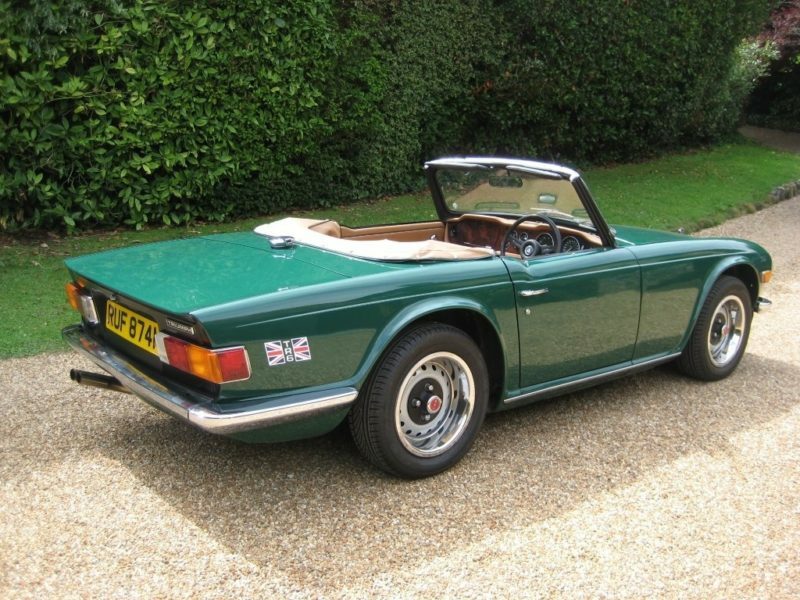 Now available at considerably less than the restoration cost today.